Does your job define you every moment of your life? Are you on duty when you’re shopping, on stage as you eat your supper, on trial for your kids’ behaviour, moving from world to world, ever wondering who you are now? Inherent in going across cultures is the need to adapt the self. Both deep and superficial aspects of the self must change in order to become effective in the new context. Changing most everything in one’s life simultaneously demands an overwhelming amount of adaptation, and adapting successfully means forging a new identity. This process is an exhausting one, requiring enormous energy (Dodds 2017). Mental health for us all begins with a sense of security and belonging. We need to feel loved, appreciated and affirmed in what we do, have a sense of meaning in our work , know we are important to someone and have significant roles in people’s lives. These are what give us our identity and sense of personhood and as such, are essential to a missionary candidate before departure for a chosen cross-cultural assignment. 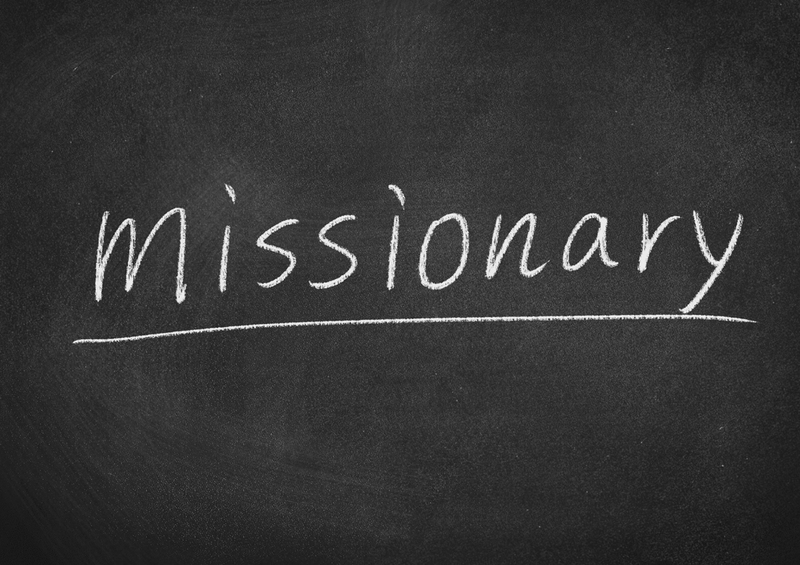 Essential, because assault on the missionary’s identity is imminent. Going into a foreign culture, learning another language, and adjusting to the myriad stresses involved changes a person in profound ways–at the core. Though hidden and almost never acknowledged, the impact of change on the core self is huge, necessitating re-working one’s identity. One asks ‘Who am I now? I used to know myself. Now I don’t even know myself. Am I going crazy? How must I change to fit this new context?’…Adjusting one’s self and figuring out what must remain the same for a sense of integrity, and what must change in order to make one suitable in the new setting, is hard work (Dodds 2017). Let us consider missionary Irene (her name means “peace”). She has bidden a tearful, but brave farewell to her family and friends and waved as cheerfully as she could from the far end of the airport security check. It was her last glimpse of all she holds so dear. Numb with tiredness, Irene still can’t sleep, the sweaty darkness stirred by a rattling ceiling fan, deadly mosquitoes buzzing outside her net and a night-guard stomping past her open window. There’s no way of knowing the time. What time would her body know? Food—you are what you eat, right? Here you can’t drink water from the tap, all fruits and vegetables have to be soaked in bleach water so you don’t get sick, and the sight of flies all over food and garbage makes you sick already. Irene hadn’t ever thought of herself as a fussy eater, but this diet is hard to stomach. This week, it’s time to start going to market and figuring out how to cook and keep house and take care of her needy self. A month has gone by and Irene has worked every day on language learning. But it’s a long and arduous task, filled with humbling experiences and feelings of inadequacy and incompetence. She has always been an articulate person, able to express herself well, write “A” papers and give persuasive speeches. Now she is a child again, not even as understandable as her neighbor boy, age three. At home she was a teacher, a creative artist, a trusted friend, a committee president, a caring daughter, a responsible church leader. Here none of those roles matter. She doesn’t know how to do anything that is valued in this culture. She can’t cook a huge pot of rice, she can’t carry wood home from the bush, she can’t buy or sell goods shrewdly in the market, she can’t fix a bicycle, hoe a garden, or nurse a baby. At home her friends and family admired her commitment and affirmed her goals, but here people have no idea why she even came. Who is she, anyway? Irene considers what she values and how those values shape who she is. The things most important to her are her relationship with Jesus, God’s Word, honesty, gentle speech, quality time with family, healthy eating, sunsets, self-care, privacy, conversations with friends over a cup of coffee, clean hair, comfortable clothes. But all of these things, from huge to small are in question in this culture, not valued here, and not practically accessible to her. She receives very little affirmation of herself, being viewed by those surrounding her with curiosity, amusement, speculation, annoyance, suspicion or envy, as though she were from another planet. Irene has lost her language, her community, her familiar roles, her friends, her affirmation and her self-esteem. She idealistically sacrificed home, family and comfort with the intention to make a difference here, but she wonders if that will ever happen. Her mental well-being is taking a scary dive but she throws herself into the job of re-making herself to fit this new culture. And wonderfully, after several years of hard work and perseverance Irene has succeeded. She’s adjusted to the new culture, she’s made friends, she’s figured out how to get affirmation from those around her, she’s learned how to like many things, she has new clothes like others wear, she can talk, and she feels comfortable with the social customs. Now it is time to return to her home culture. As Irene flips through fashion magazines on the return flight and visualizes how her new embroidered outfit will look to her welcoming party she starts to feel some tension in her shoulders, lines of worry round her eyes—she knows she’s not who she was. When she returns to her home culture she will not fit, she will not be perceived or even loved in the same way as before. Going back to who she was is impossible. She finds, in the following weeks, that she has become a marginal person in both cultures, a bridge between cultures that will never essentially be brought together except within her. How are those people “back home” who have been the senders, supporters and pray-ers to respond to their new Irene? Now it is their turn to minister. There needs to be interest and appreciation in large measure, for the incredible effort she has invested in becoming part of another culture. And there need to be open arms and minds to learn to know, love and support the new person she has become. Sometimes the people back home have spoken resentfully, as if she should have known what she was getting into. And yet, how many of us know what it will cost to follow Jesus with our whole heart? Those that are senders now need to share the cost, in all the ways they also are called. Lois Thiessen is completing her MA (Counselling) at Providence Theological Seminary and hoping to focus on counselling MKs, missionaries, and people of different cultures. At age three she was part of the first mission team sent out from Blumenort EMC and has been on the mission field ever since in Mexico, Texas, Saskatchewan, France, and Burkina Faso. For now she’s at home in Blumenort. Lois Thiessen recommends the resource used, a booklet by Dr. Lois A. Dodds, Am I Still Me? Challenges to Identity, and invites readers to check out other materials available at Heartstream Resources (heartstreamresources.org), a retreat centre for global workers located in Liverpool, Pennsylvania. Thanks for this Lois. Reading this was eye-opening, moving and inspiring for me. There is a deeply incarnational dynamic going on here. What would the church be like if all our members had this kind of purging, detoxing and re-orienting of the self when they set out to follow the Master’s lead? Thankyou Lois. I was so impressed with you sharing these anxieties. It is obvious you have gone through this challenge of adjusting to a strange culture a number of times. You have heard the locals snicker at your mistakes behind your back, and felt the apathy when you returned home for a ‘break’. You will be a good councillor!